Gardening is about so much more than growing tulips or tomatoes. Gardeners love what they do because they can create entire ecosystems in the space of their own yards, and this ecosystem, packed with both flora and fauna, becomes an independent system that feeds itself and thrives on its own. The richer the nectar, the more alluring the garden. 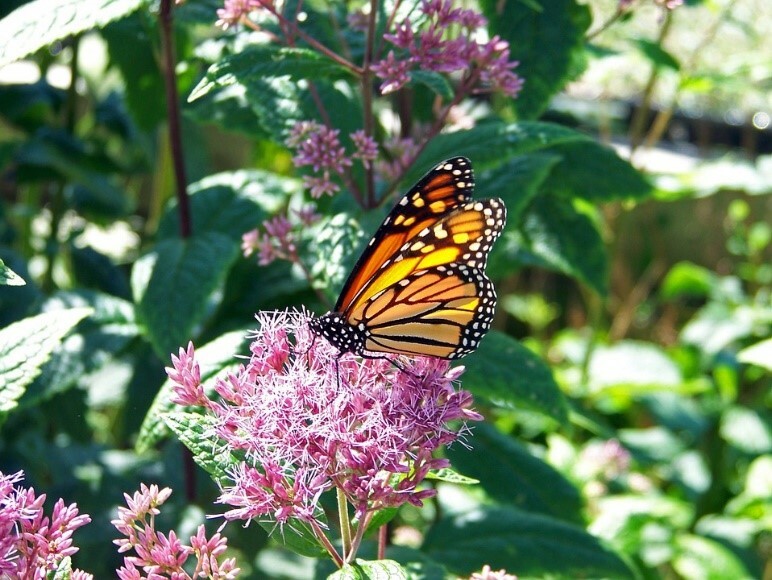 Both butterflies and hummingbirds feed mainly on nectar-rich flowers, so make sure your garden includes flowers like Centranthus ruber or pink Jupiter’s beard, which butterflies love, and morning glories, which are like magnets for hummingbirds. 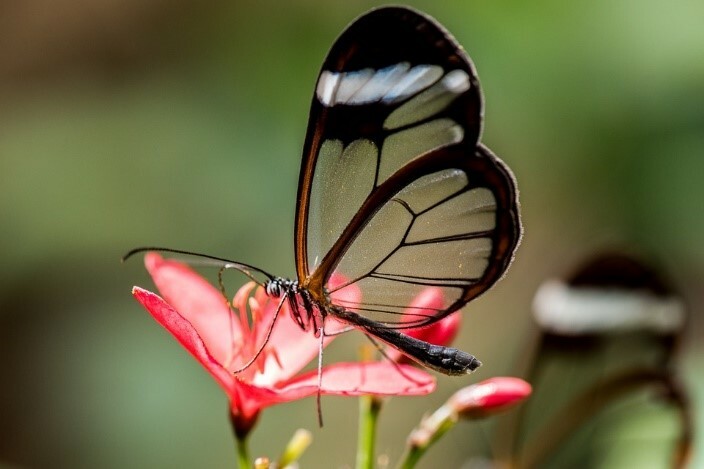 Fully matured butterflies tend to avoid feeding in the shade, so choose flowers that enjoy lots of sunshine and plant these where the best light can be received. You can up the appeal of your garden by also making your own nectar and putting it in feeders for both hummingbirds and butterflies. It’s simple: Just combine one part white table sugar with four parts water. Slowly heat the solution for 1-2 minutes until the sugar dissolves (this will also slow down the fermentation process of the sugar), and let it cool completely before filling your feeders. Then watch the beautiful creatures come flocking! In urban areas like New York City, a few feeders can spell the difference for landscape design and garden design in Brooklyn and Manhattan, transforming a city space into a green oasis. Hummingbirds and butterflies both have strong attractions to specific colors, and you can use this to help bring them to your garden. 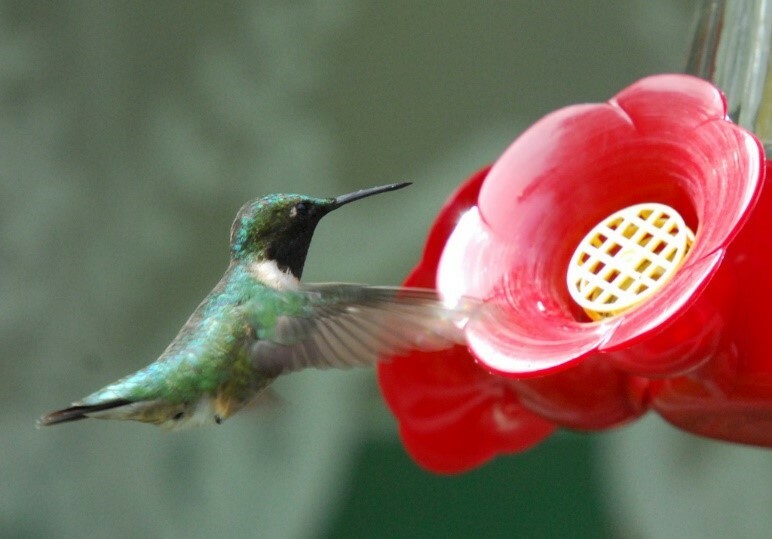 Hummingbirds love red, while adult butterflies love bright colors including reds, yellows, oranges, pinks and purples. You can pack your garden with flowers of these colors to help lure them in and you can also add simple decorations — red ribbons waving in the breeze will work like a charm to attract hummingbirds! If you’ve planted all the right flowers but they haven’t yet bloomed, you won’t have any material to attract the hummingbirds and butterflies. To keep your visitors returning the entire season long, plant on a continuous blooming schedule. Check the seeds labels for expected time of blooming and make sure that you will have flowers blooming throughout the season. 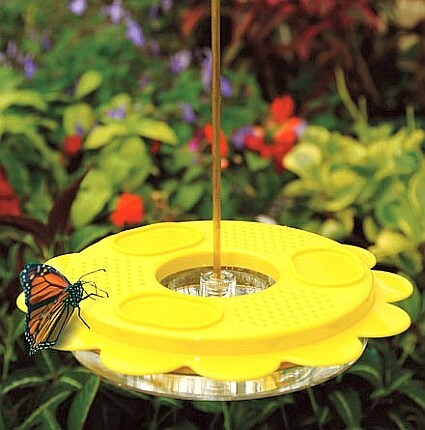 This way you will not only increase your chances to attract hummingbirds and butterflies, but also make sure they have a food source (nectar) available whenever they visit. For an extra boost, cut deadhead flowers to give the blooming of your garden an extra boost. When blossoms are just starting to wilt, snipping their seed heads can trick them into thinking they still need to bloom. When planting native specimens, you are supporting pollinators, like the gorgeous butterfly, that has co-evolved with the local flora. You’re also guaranteeing your home garden ecosystem will be sustainable and healthy. 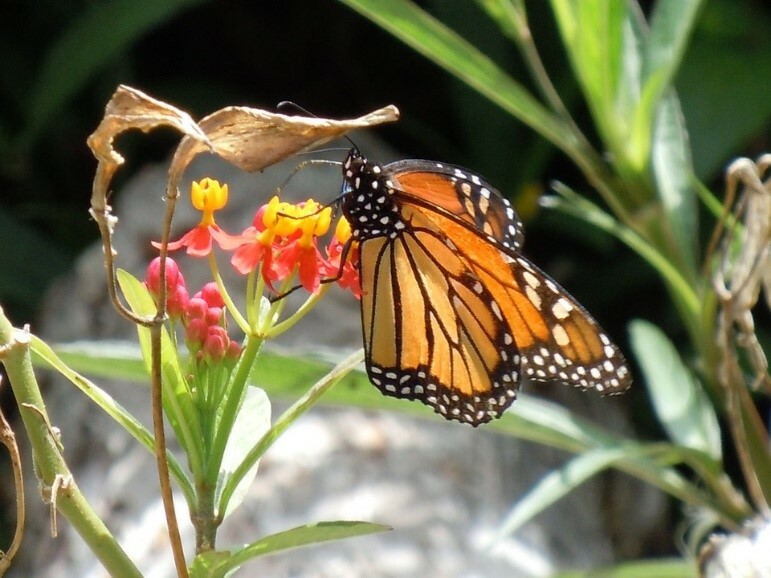 When butterflies try to lay eggs on non-native plants, their offspring have trouble surviving. 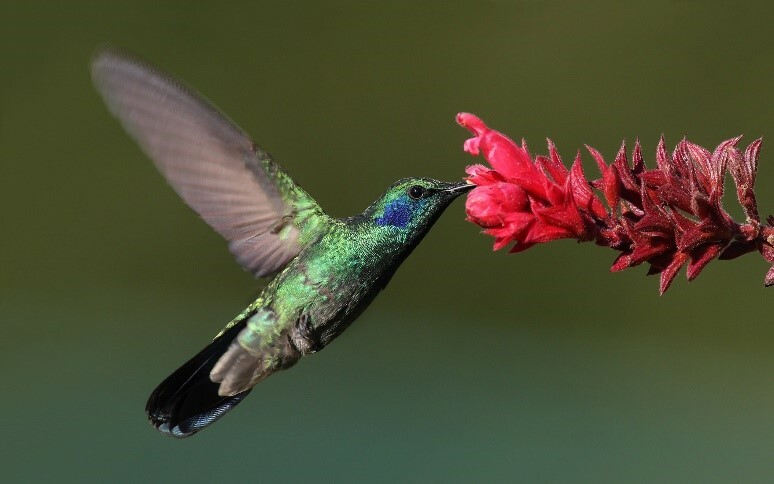 The other fauna that will also be fortified, such as small insects, will serve as food for the hummingbirds as well, since they tend to feed on insects for a richer source of protein during the nesting season. To attract different kinds of butterflies, plant a number of butterfly-attracting flowers like passionflower, butterfly bush and willow. For hummingbirds, remember that male hummingbirds are territorial. To make sure all birds have a place in your garden, scatter small niches of red flowers, and those lovely nectar feeders, in different places around the space. Butterflies and hummingbirds love a chance to rest, so give it to them with slender poles and trellises for hummingbirds and small trees and shrubs for butterflies. Bird baths can double as butterfly spas, so utilize the power of water. Hummingbirds love moving water, so making a fountain out of a shallow basin will offer them the perfect place to come and cool off. And ditch the chemicals: Insecticides and pesticides are poisons that kill off butterflies and also destroy the insects hummingbirds feed on. If your garden has a healthy ecosystem on its own, the birds you attract will kill pests that could harm your other plants. Next Next post: She is here. A birth story.